Legendary sports scientist Mel Siff used to have his students engage in a little game where they would argue in favor or against a particular topic and then change stances and argue the opposite side. This allowed the student to attain a better understanding of both sides of the argument. In addition to studying the research in strength & conditioning, biomechanics, motor control, anatomy, physiology, nutrition, and supplementation, Chris and I spend considerable time each month sifting through physical therapy and rehabilitation research for our research review service. In fact, we are receiving great feedback from physical therapists/physios, informing us that our service is greatly helping their practice. One area that I find to be a convoluted heap of promising, discouraging, and conflicting findings is the literature surrounding the vastus medialis obliquus (VMO) in relation to patellofemoral pain. I decided to spend a few hours pulling up some of the literature in this area to create two arguments; one in favor of VMO strengthening for patellofemoral pain, and one against VMO strengthening for patellofemoral pain. I ask my readers to click on the various hyperlinks and form their own conclusions with regards to this topic, and if you feel inclined, please discuss your current belief in the comments section. I hope that this example helps showcase the importance of understanding the entire body of research when formulating an opinion, as it’s easy to play a strong case either way by cherry-picking research. Getting out of patellofemoral pain is all about the VMO! Some of you may think that the hip is important, but studies examining hip strengthening on improving patellofemoral pain are lacking (Fagan and Delahunt 2008). 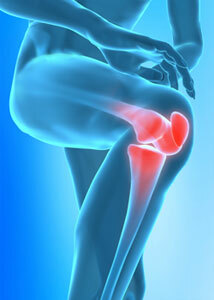 Strengthening the VMO is definitely the secret to getting out of anterior knee pain. Histological analysis shows differences between the VMO and the VL (Travnik et al. 1995, Travnik et al. 2013). The vastus medialis has a unique innervation system that activates the VMO differently compared to the upper portion (Thiranagama 1990). Blocking the nerve that innervates the VMO negatively impacts mechanics (Sheehan et al. 2012). Subjects who are experiencing patellofemoral pain show atrophy in their quadriceps (Giles et al. 2013), and specifically in their VMO (Pattyn et al. 2011, Jan et al. 2009). In fact, in many patellofemoral pain subjects, this atrophy is very noticeable, with some subjects barely being able to induce a strong VMO contraction voluntarily (Halabchi et al. 2013). Moreover, the VMO shows a delayed onset during functional movement in subjects with patellofemoral pain (van Tiggelen et al. 2009). Musculoskeletal modelling indicates that VMO weakness negatively impacts lateral contact pressure and force in the knee (Elias et al. 2010, Lin et al. 2010), and this is corroborated with in vitro research (Sakai et al. 2000). 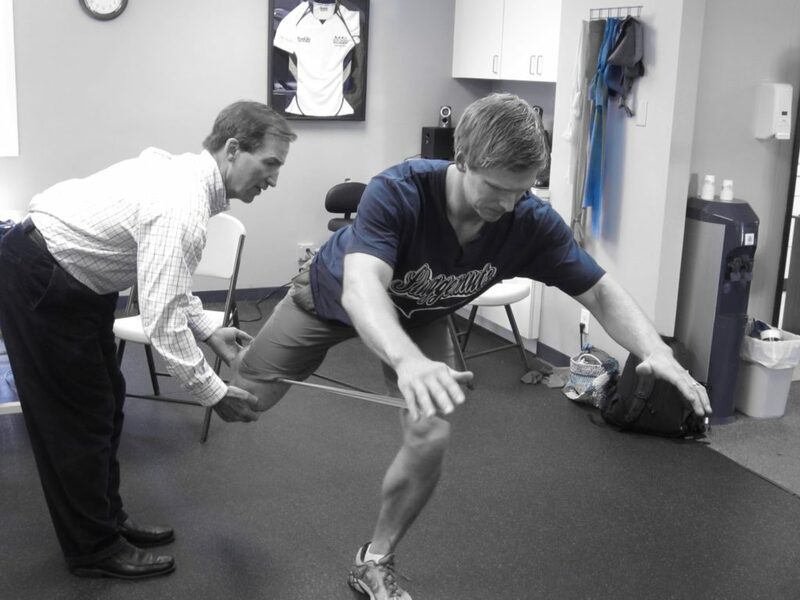 Restoring VMO atrophy and timing imbalances is therefore the first step in any good physical therapy protocol (Werner 2014). Specialized training can target the VMO (Chang et al. 2014), as can electrical muscle stimulation (Garcia et al. 2010). Orthotics (Neptune et al. 2000) and patellar taping (Cowan et al. 2002, Christou 2004) can be used effectively to strengthen and improve timing of the VMO as well. The terminal knee extension (TKE) is a closed-kinetic chain exercise that can be used to strengthen the VMO (Curtis 1995). Some of your research is outdated, such as the Fagen and Delahunt paper, and one paper you cited (Travnik 2013) was retracted. Moreover, you cherry-picked various papers and failed to mention review papers that come to opposite conclusions. For example, the efficacy of patellar taping and orthotics have been called into question via the Cochrane database (Callaghan and Selfe 2012, D’hont et al. 2002). It has been pointed out that most studies examining interventions on patellofemoral pain don’t have a placebo group, which is needed to show efficacy of treatment (Crossley et al. 2001), most of the studies are of very low quality (Heintjes et al. 2003), and most of the improvements shown relate only to pain and not function (Rodriguez-Merchan 2014). And since knee pain in and of itself alters biomechanics, we can never be certain when using subjects in pain whether the pain created the abnormal biomechanics or whether the abnormal biomechanics were there in the first place and created the pain (Seeley et al. 2013). Now I will address the specifics of your article. First of all, researchers aren’t even sure that there is a VMO to begin with (Smith et al. 2009). And even if it does, a review paper concluded that it cannot be preferentially activated, meaning that any quad exercise will similarly activate the vastis (Smith et al. 2009 b). Another review paper concluded that evidence supporting differences in timing between VMO and VL activation in subjects with anterior knee pain is very week and is confounded by variability in normal physiology (Chester et al. 2008), and examining VMO onset timing has been questioned by researchers as a meaningful diagnostic strategy (Wong 2009). One study showed that even removing the VMO entirely didn’t affect contact area, shape, or pressure on the patellofemoral joint (Sawatsky et al. 2012). A study examining 82 patients – 30 with an acute patellofemoral dislocation, 30 with recurring patellofemoral dislocation, and 22 healthy controls, showed absolutely no differences in VMO size, fiber angulation, and orientation relative to the patella (Balcarek et al. 2014). Some of the fancy techniques used to target the VMO are downright silly – such as putting a stability ball in between the knees when squatting or doing wall sits, thereby effectively mimicking the intended knee valgus condition that we’re trying to improve (Choi et al. 2011, Hertel et al. 2004, Earl et al. 2001, Peng et al. 2013), or squatting on highly unstable surfaces which doesn’t mimic functional movement (Hyong and Kang 2013). But lets give the VMO the benefit of the doubt here and postulate that its size and firing is important for protecting the knee. Even so, we don’t ned to do anything fancy, as basic quad strengthening is just as effective at strengthening the VMO and improving timing compared to specialized VMO training (Bennell et al. 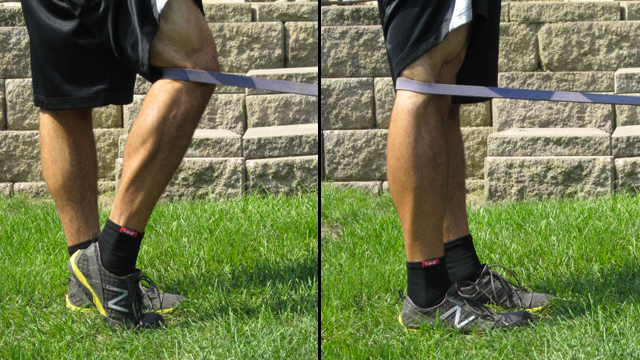 2010), and just doing squats and leg extensions will increase VMO size and improve knee tracking parameters (Wong et al. 2009) and improve VMO onset timing (Wong and Ng 2010). Furthermore, if you’ve ever heard of a researcher named Chris Powers, then you’d know that patellofemoral pain is mostly associated with the hips, not the knees (Powers 2010, Powers et al. 1996, Powers 2000, Powers 1998, Souza et al. 2010, Reischi et al. 1999, Sigward et al. 2008). But not just Dr. Powers believes, this, so do many other researchers (Prins and van der Wurff 2009, Meira and Brumitt 2011). In support of this, a recent study has emerged, showing that hip strengthening is indeed more effective for improving patellofemoral pain than knee strengthening (Khayambashi et al. 2014). And if you strengthen the hips, you use them more during functional movement, thereby sparing the knees (Stearns and Powers 2014). Women in particular rely too much on quads and need much more hip strength (Stearns et al. 2013), and because their glutes are weaker, women have to use a higher capacity of their glute power to do functional tasks (Souza and Powers 2009). I therefore recommend that you just do your squats, your RDLs, your hip thrusts, and some lateral band work, and that you ditch those silly TKE’s. The post Using VMO Research as a Teaching Tool for Understanding Evidence-Based Decision Making appeared first on Bret Contreras.